A BBC World Service survey of 34,000 people has found sharp divergences in attitudes to the pace of globalisation. Half said the speed was too fast, while a substantial minority expressed belief that accelerating the process would help reduce inequality. A clear majority of respondents in the 34 countries polled worldwide thought the benefits and burdens of economic development had not been shared fairly. The survey was conducted by GlobeScan along with the University of Maryland. Fast growing international trade and investment flows have been among one of the most striking global economic trends for many years. The BBC World Service survey showed some striking divergences of attitude to the speed with which this process has occurred. Half thought it too fast and even more thought it unfair. Within the developed world, those who thought it unfair were also more likely to think it had gone too fast. But in some developing countries the pattern was reversed. In Turkey, Brazil, Indonesia and some other nations, people who perceived unfairness were more likely to think globalisation had grown too slowly. Despite the unease expressed by many respondents, a spokesman for one of the research agencies involved said that few want to slam the brakes on globalisation - but many do want to press the brakes lightly. Most of the interviews were done before the past few weeks of international financial market turbulence. They do nonetheless show slightly more than half saying economic conditions in their own country were getting worse. 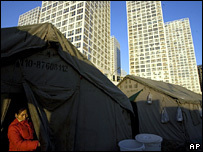 For the global economy 46% said conditions were getting worse, which was more than thought the situation was improving. GlobeScan interviewed 34,528 people in 34 countries between 31 October 2007 and 25 January 2008. In 16 of the 34 countries, the sample was limited to major urban areas. The margin of error per country ranges from +/- 2.4% to 4.4%.